AAMCO is a dynamic part of American car culture — as well as a vibrant part of hundreds of local economies across the nation. 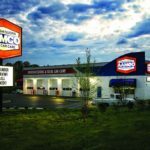 As one of America’s first franchise systems, AAMCO has a storied history of franchise owners who have succeeded over multiple decades, weathering economic downturns and establishing themselves as meaningful members of their communities. For Kurt Wood, a multi-unit franchise owner in Salt Lake City, Utah, AAMCO was part of his community’s fabric to such an extent that his ambition was to become a transmission repair builder when he left high school in 1978. Kurt has since become one of the most successful franchise owners and remains a passionate advocate for the opportunities that franchising with AAMCO affords to entrepreneurs. Kurt is now in his 25th year as an AAMCO franchise owner and his confidence in the brand has never been higher than it is today. 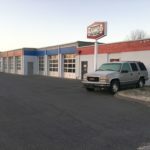 This is largely the result of a new leadership team led by CEO and President Brett Ponton, who prior to joining the iconic auto repair franchise, was the largest Jiffy Lube franchisee in North America, operating nearly 575 units. Under Brett’s leadership, AAMCO is rapidly emerging as a leader in Total Car Care, allowing franchise owners to win an outsized share of the $64 billion automotive repair market. AAMCO has also made significant investments to simplify the business model, increase profitability and provide an industry leading training platform that will keep AAMCO as the brand that Americans trust with their vehicles. As an entrepreneur, Kurt is a terrific example of the American Dream. Not only has franchising with AAMCO provided him with a better life for his family, but his AAMCO centers exemplify the power of giving back. Kurt’s sense of community is also felt within his own franchise locations, taking the time to mentor his management staff, one of whom recently bought a location from Kurt. 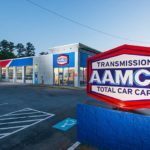 With nearly 700 auto repair franchise locations across the country, AAMCO has remained a dynamic part of American car culture — as well as a vibrant part of hundreds of local economies — since we began franchising in 1962. AAMCO is actively seeking single- and multi-unit operators who are passionate about the brand and committed to providing the highest-quality service. Interested candidates should have a minimum net worth of $250,000 and liquid assets of at least $65,000 per unit. Depending on the real estate selected, franchisees can expect the total investment to be approximately $227,400 to $333,000, with a $39,500 initial franchise fee. Reduced franchise fees are available for honorably discharged veterans. Since the auto repair franchise began offering a discounted pathway to veterans through its VetFran program in 2012, seven US veterans have joined the AAMCO franchise owner network.